I have a friend that loves to eat pretzel thins or pretzel crisps. You know, they look like pretzels that have been sliced into thin little chips. That stuff. She loves eating them and she has one preferred brand. 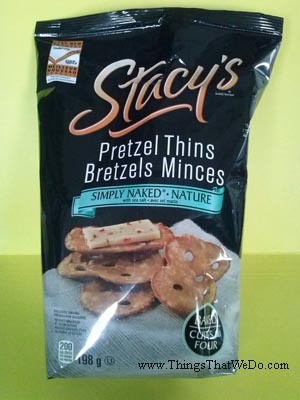 During a recent trip to the grocery store, I stumbled across this bag of Stacy’s Pretzel Thins. They were on sale so I decided to buy them for her as a treat. I’ve tried other Stacy’s products before and I enjoyed them so I figured this was a pretty safe gift to give. 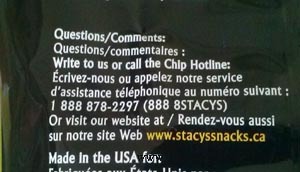 Product Review: What ingredients are in Stacy’s Pretzel Thins? 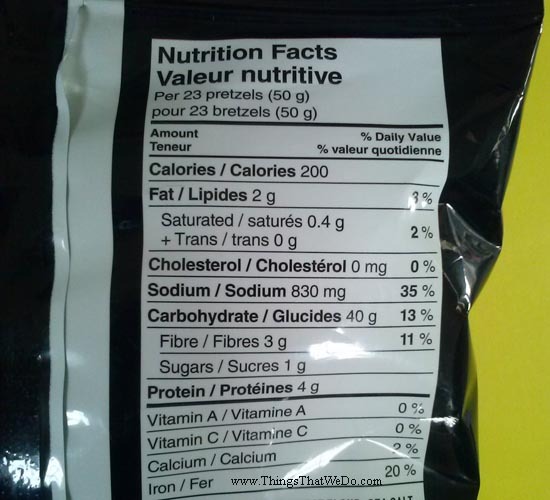 I wanted to get my pal a basic flavour so I opted for the ‘simply naked’ Stacy’s Pretzel Thins with sea salt. Here are the ingredients that went into making them: enriched wheat flour, sea salt, expeller-pressed sunflower oil, organic honey, baking soda, malt extract (barley), potassium hydroxide, sodium hydroxide. A quick glance at the ingredients and it’s not an atrocious list. You knew sea salt would be one of the main ingredients. I mean, most pretzels are salty by nature! I gave this bag of Stacy’s Pretzel Thins to my pal and we shared it among a group of us during a much needed get together. The general consensus: the flavour of Stacy’s Pretzel Thins is quite good. They snap, they crunch, and of course, they’re salty. 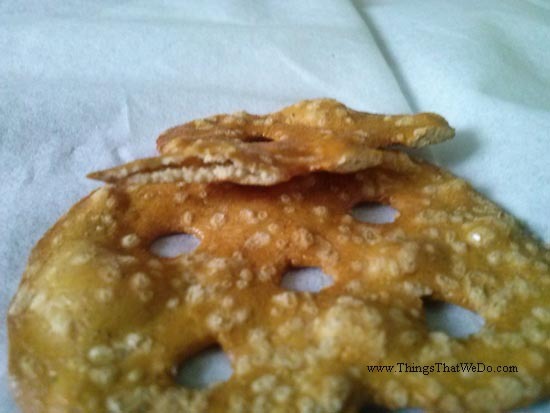 Although we ate the pretzel thins without any dips or spreads, they would likely pair very well with a topping or two. 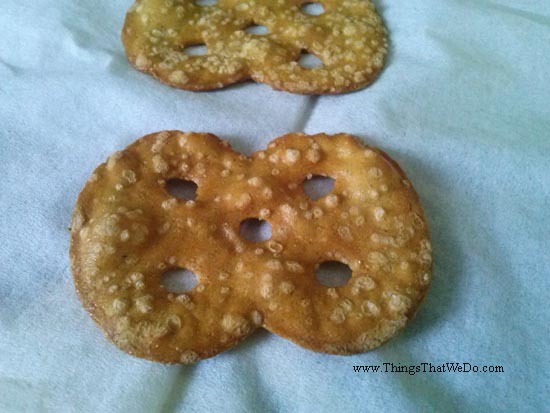 The downfall: some of my friends found Stacy’s Pretzel Thins a little too thick and starchy for their taste buds. Compared to my pal’s preferred brand of pretzel crisps, these Stacy’s Pretzel Thins do fall on the thicker side. I personally didn’t mind the thickness. Would I buy Stacy’s Pretzel Thins again? I might. I didn’t mind them but I generally don’t even many pretzels because of the sodium content. If I did buy myself a bag of Stacy’s Pretzel Thins, I’d probably pair them with a basic hummus dip, some sliced tomatoes, and I might even add some avocado to better balance out the flavours. Actually, that sounds like a really good pairing. p.s. 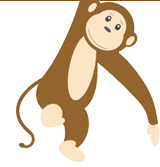 for more information on this product, visit their website by clicking here.